Do you fancy yourself a fearless fermenter? Have you made sauerkraut, chutneys and pickles galore? How were your pickles? Were they crisp and delicious? Tell the truth. 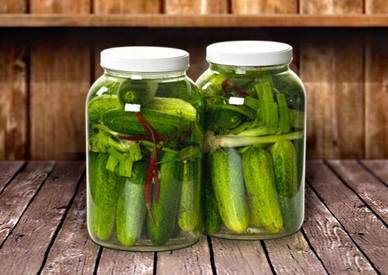 One of the most frequent fermentation flops I see are hollow or soft pickles. It’s a shame, because crunchy pickles are a classic, fundamental, and encouraging way to begin your metamorphosis into a confident fermenter. Here’s a little secret that our ancestral fermenters held as common knowledge. There must be sufficient tannins present during fermentation to yield crisp pickles. This includes ingredients like grape leaves, red wine vinegar, bay leaves, cloves, oak leaves and tea.